Find a Volunteer/Community trip that explores South East Asia. There are 44 tours to choose from, that range in length from 7 days up to 29 days. The most popular month for these tours is August, which has the most tour departures. 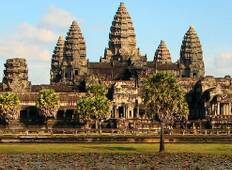 "Bonita and D was our guide for Thailand and D continued on to Cambodia with us. Bonita..."
"Heidi created an amazing experience for myself and a group of 13 young leaders from..."
"I am relly happy that i have chosen this projet. Everything is going well and Thuong..."
"Truly an amazing experience! GVI staff is there for you from the start. 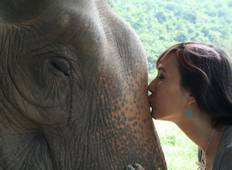 They pick..."
"My GIVE Thailand trip was absolutely breathtaking. The trip was more than I expected..."
"This was the most amazing experience. GIVE is an organization that really knows how..."
"Excellent expierence. Couldn't flaw it. Accommodation was the best so far, the volunteering..."
"This was my second trip with the GIVE organization and it did not disappoint! We..."